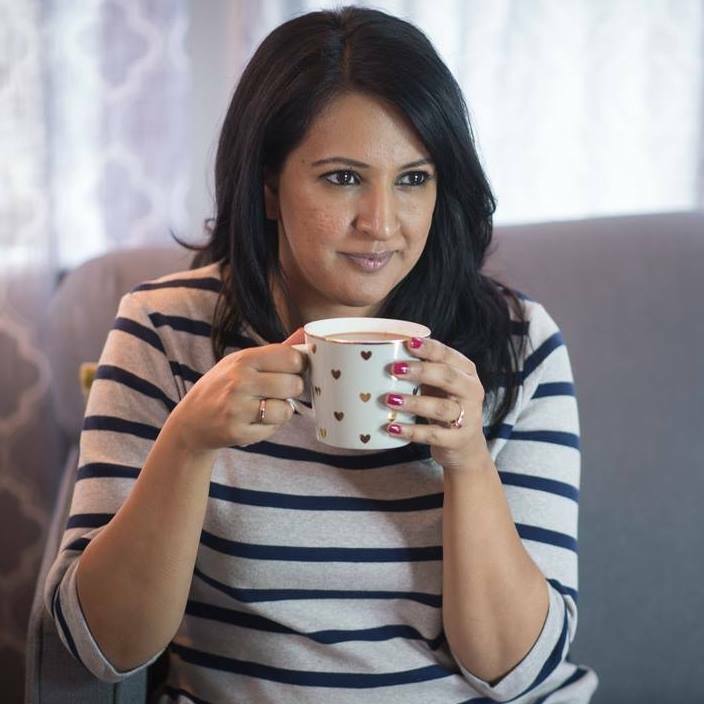 Walking with Nanak is a book that would appeal to anyone with an affinity for Sikhi and Guru Nanak Devji, but it will also appeal to history buffs. Like thousands of other Sikhs I’ve dreamed of visiting Nankana, the birthplace of Guru Nanak, for as long as I can remember. My motivation for visiting Nankana isn’t only to matha tek (bow my head) or check off a box. I want to walk the roads of the city where Guru Nanak would have walked. To feel the energy in the city where he spent the formative years of this life, and to soak in everything about the place where the seeds of Sikhi were planted. While Amritsar is widely recognized as the holiest city for Sikhs, Nankana holds a very special place in our spiritual history. In the last 15-20 years access to Gurudwaras in Pakistan has been made available to Sikh NRI’s through tour companies, but that’s not how I want to see Nankana, Hasan Abdal, Jhelum, or Kartarpur. All cities with spiritual significance for me. When I came across the book Walking with Nanak, written by Haroon Khalid, a Pakistani Muslim, I was instantly enchanted. Even before I turn the first page, I know this is an author I admire. He sees the value in Guru Nanak’s prose and teachings, and yearns to know more about this spiritual leader that belongs as much to his Pakistan as to my religion.The first few chapters grip me. I can’t believe that I’m walking with Khalid and his mentor Iqbal Qaiser, as they explore the streets and pathways that lead to so many places that Guru Nanak and his faithful friend Mardana visited during their travels. Khalid describes the towns and villages they visit, and the state of the Gurudwaras they come to with thoughtful words. We read about Gurudwaras which have been lost due to lack of care, or have been taken over by holy men. At the same time, we learn about Gurudwaras which have been refurbished and rebuilt to their previous glory. 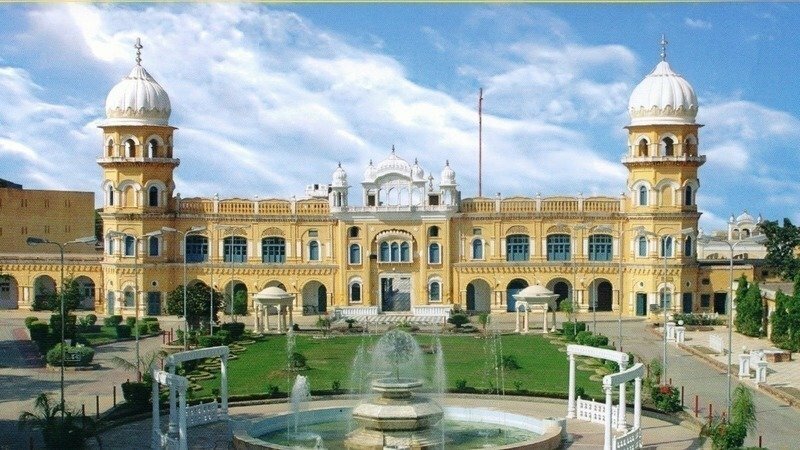 Gurudwara Nankana Sahib, Pakistan. Image source unknown. Weaved within Khalid and Qaiser’s stories are the stories of Guru Nanak and Mardana, stories of a traveler and his companion. This is where I as a reader and a Sikh am conflicted. Khalid is writing about ‘Nanak’, a man that I believe he sees in the same way that I see Rumi or Waris Shah – a poet, a mystic, a Sufi. Not Guru Nanak, my guru in religion. While a part of me envies the eyes that Khalid can see ‘Nanak’ with, another part of me feels discomfort at the reflection of Guru Nanak as just any other man. While I thoroughly enjoyed Khalid’s musings on Nanak, I didn’t love his position and opinions on the subsequent Gurus (which are weaved throughout the book). I wish he had kept the scope of the book to Guru Nanak, and saved his musings on the development of the religion and the Gurus that came after him. That is my only negative on this read, and that my not even affect a non-Sikh reader. Putting aside my religious feelings, the writer in me admires Khalid to no end for chasing his muse the way he did. What wouldn’t I give to follow the path of Waris Shah from his early days searching for a spiritual guide, to Malka Hans where he pens the epic Heer Ranjha, the story of of my heart. To be so inspired by Guru Nanak’s Babur Bani that it set into motion this quest for ‘Nanak’, that is something I’m both envious and proud of. 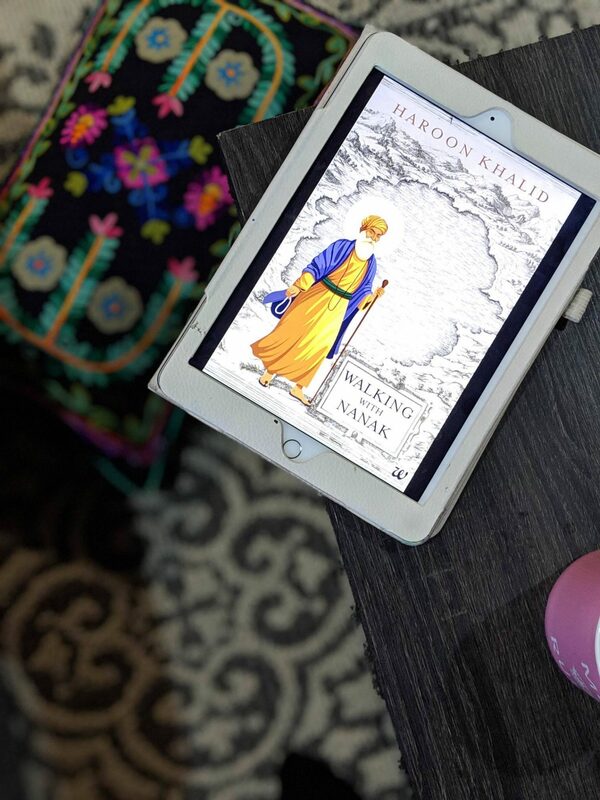 In the end, Walking with Nanak is a unique opportunity for those of us who love Guru Nanak to get a view of his life and travels through the eyes of Haroon Khalid, who in this book reminds me most of Mardana, as he follows the path of ‘Nanak’ with his friend and mentor Iqbal Qaiser. Qaiser actually became the surprise hero for me in Walking with Nanak! I’m forever grateful to him for the work he has done in documenting the Gurudwaras in Pakistan and helping to restore them. (I’m currently trying to get my hands on Qaiser’s book, Historical Sikh Shrines in Pakistan). Whenever life gives me the opportunity to make my way to Nankana, I hope to feel my Guru’s footsteps there, and also see a glimpse of the poet, and man I met through walking with Nanak.